Most of the world’s greatest geniuses like Albert Einstein rely on more than their sensible minds or common sense for inspiration and guidance. We are all naturally psychic and we have hidden hunches, instincts, intuition that go beyond our control but helps us make things better. 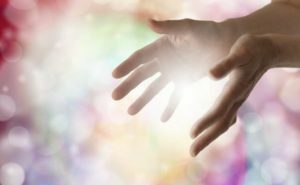 Yet, it is because of our neglect and being out of tune with ourselves and reality that we have forsaken our natural psychic gifts and after realizing this, we wish to regain our power once more. The question is how and how to do it better? 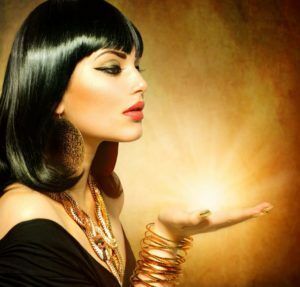 This is a how to increase your psychic abilities in whichever practices you are doing. There’s a special thing that happens during sunrise and midnight. 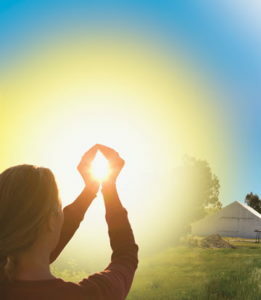 During sunrise, the sun rises and fresh renewed energy emerge. During midnight, the moon rises and there is a glow of illuminated energy. But the real reason why these two times of the day works is because of one particular thing.This is the same reason why we are more creative in paintings, music, or for finding inspirations (ex. a walk in the night) at this time.And it’s not only because these are the times we naturally go into the alpha state consciousness, that we are more relaxed and refreshed, but… It is because there are no people around. When people are physically awake, they begin harnessing the energy of the planet but because most people are spiritual asleep while they are physically awake, they use their psychic energy to manifest mundane things. Many people manifest random thoughts from their chattering minds of things that have no meaning or purpose. They have no control of their mind or their life and things like “Kim Kardashian is so stupid…”, “I wish I would’ve said this and that” or emotionally charged debates that go nowhere. All of these psychic activity going around in a crowded net of invisible strings from each person’s soul makes it harder for one person to do anything by himself. It also scatters your energy and their energy. If you are in a room and everyone has the belief of clairvoyant powers, then more likely that your powers will be developed but if you are in a room and you are the only one with that belief and everyone doesn’t, then the psychic air around will lessen and you won’t…even if you are determined to prove them. Now think about this one on a worldwide scale but when no one is active, they won’t be able to block your psychic use. At midnight is when most people are asleep and early morning is when most are not awake. This leaves you with all the clean psychic energy around for you to increase your psychic ability. If you want to increase your psychic ability, do it at early morning or at midnight. The third eye, also known as the spiritual eye or inner eye, is the vision of psychic phenomena. Everyone has an inner eye, it is the same eye that you see when you close your eyes. Or rather, it is your only real eye because your two physical eyes are windows of reflections for light to convert into electrical signals into the back of your brain in the occipital lobe! But the world of today is largely ignorant of the hidden use of the inner eye for they rely too much on the two physical eyes. Your third eye is the source for not only inner vision but also mystical powers and spiritual sight. Thus, focus on the third eye and awaken its powers within you. In order to adequately focus on the third eye, you must withdraw from all other senses. The five physical senses are sight, hearing, taste, smell, and touch. These senses are merely illusions, but are real nonetheless. As you attune with the physical reality, so too will you have the senses of the physical. As you attune with the spiritual reality, so too will you have the senses of the spiritual. So it is here that you must tune out the 5 physical senses. 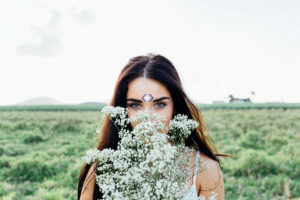 Focusing on the third eye will awaken the psychic abilities within you, if you haven’t already, and it will increase your power by threefold. You don’t have to stripped down to your underwear to be emotionally naked. Emotionally nakedness is becoming vulnerable with yourself and become sensitive on all levels of the self. This is necessary for increasing the awareness of your psychic abilities. Emotional sensitivity is being honest with your emotions. It is reading the subtle information in your environment and the energy that moves with it. It is allowing yourself to welcome those subtle energy to flow into you and it is knowing yourself fully and attuning yourself with reality. Take art classes such as drama, paintings, dancing, sculpture, etc. because they allow for free mind to explore and express itself. I also recommend to listen to beautiful eastern instrumental, soul r&b or church music because they are filled with a tune that affects your soul. Another one is yoga or hang around with someone close to you with a Water Sun Sign or Water Moon Sign in their astrological chart. Your intuition is the only guidance you have with psychic abilities. Thus, listen to your intuition. You can never go wrong, and I mean it. 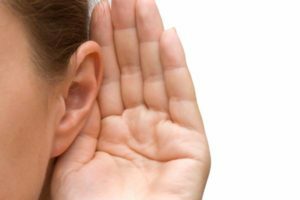 Even if you think your intuition gets you wrong, still listen to it and learn to accurately read it through practice. There are many times where I have a gut feeling even if the situation is reasonably harmless but I found that intuition is not only on the immediate level, it has foreseen the dangers I was about to get myself into and it took me almost a month to figure out that it was a close call. During the waxing and full moon. Focus on your third eye as you do it. Break the emotional walls down and get comfortable. And just listen to your intuition.